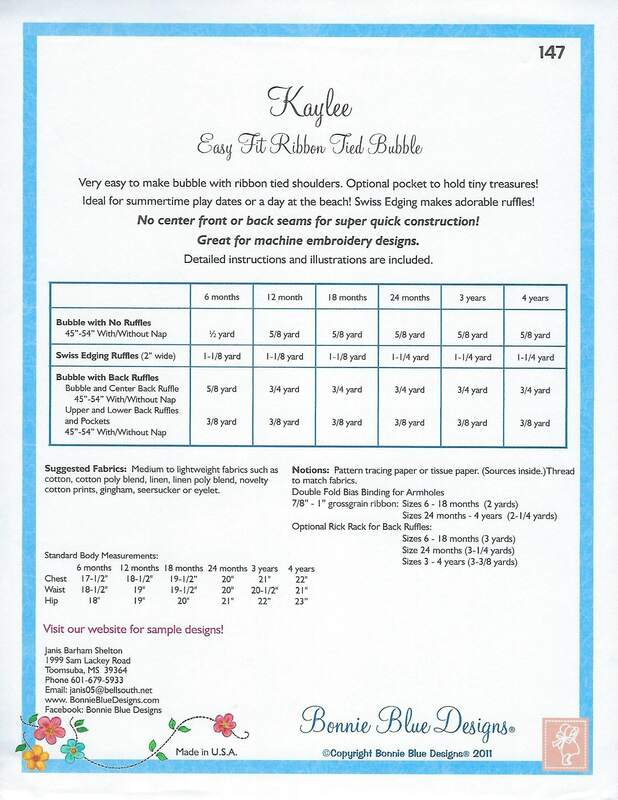 Package includes patterns and instructions to make Easy Fit RibbonTied Bubble. Optional pocket to hold tiny treasures. 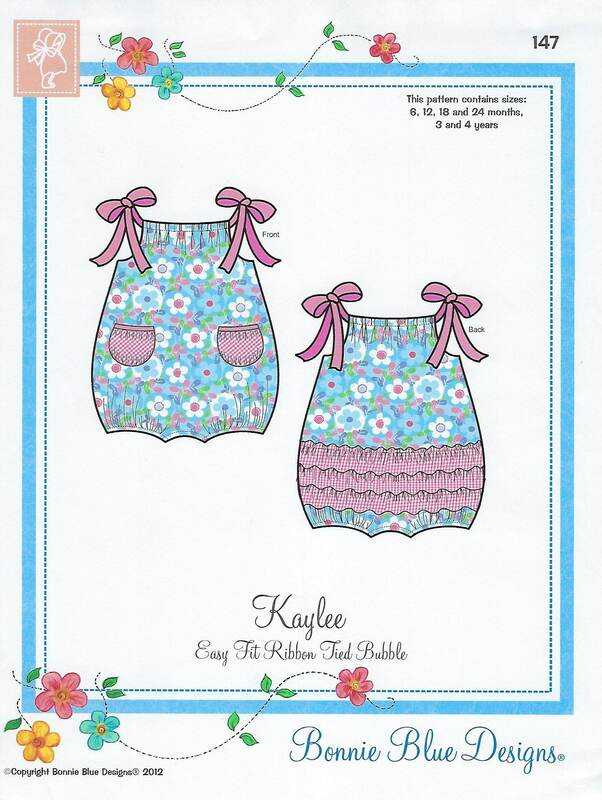 Ideal for summertime play dates or a day at the beach. Swiss Edging makes adorable ruffles. No center front or back seams for super quick construction. 6 mo, 12 mo, 18 mo, 24 mo, 3 yr, 4 yr - All sizes included in one envelope.